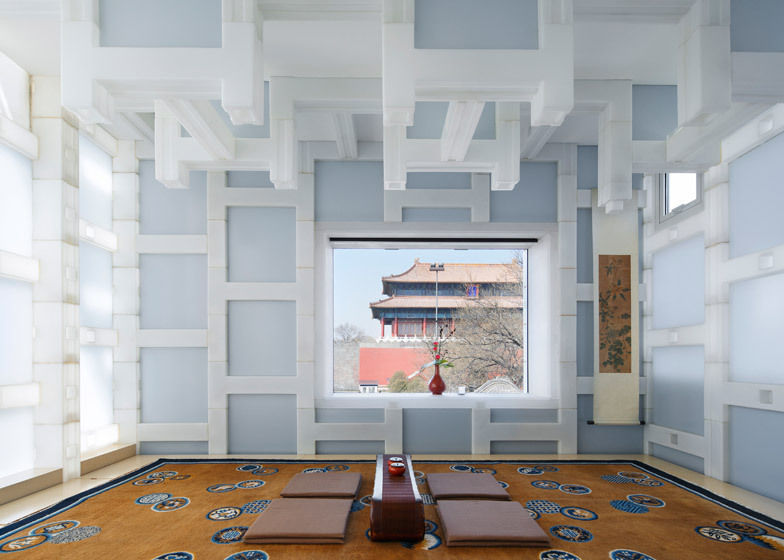 Kengo Kuma and Associates used polyethylene plastic batons to create an elaborate grid across the ceiling and walls of each room of the private member's club, which is simply named Beijing Tea House. These new walls allow light to filter gently into the building from all sides. 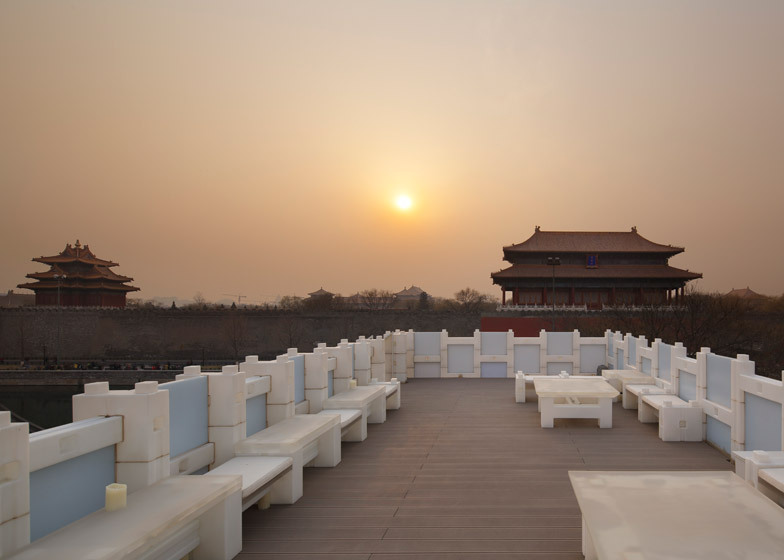 They also rise above the tea house's traditional tiled roof to enclose a terrace overlooking the Forbidden City – Beijing's former imperial palace, and one of the city's biggest tourist attractions. Chinese studio Cutscape Architecture recently completed one to the north-east corner of the complex, inside a pair of converted brick warehouses, while Kengo Kuma's stands at the east gate. 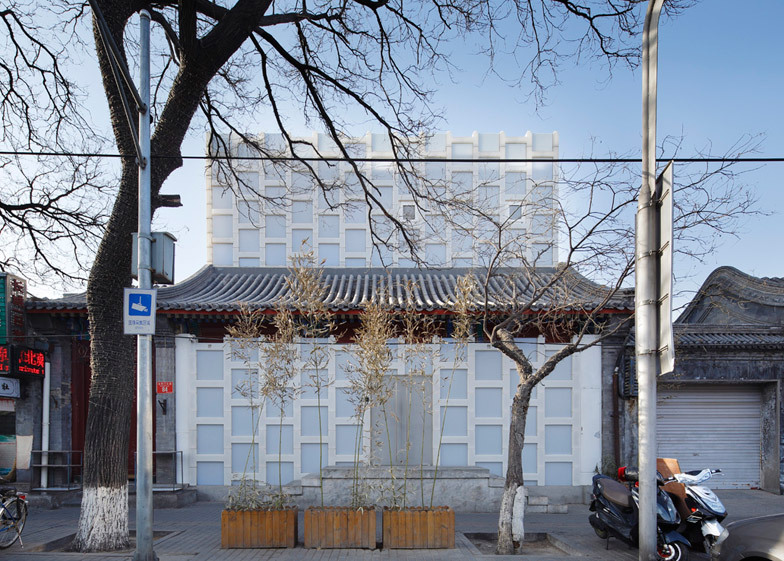 The staggered arrangement of the new walls is reminiscent of the city's traditional brick architecture – which the firm also referenced for a Beijing clothing boutique enclosed with walls of latticed aluminium. 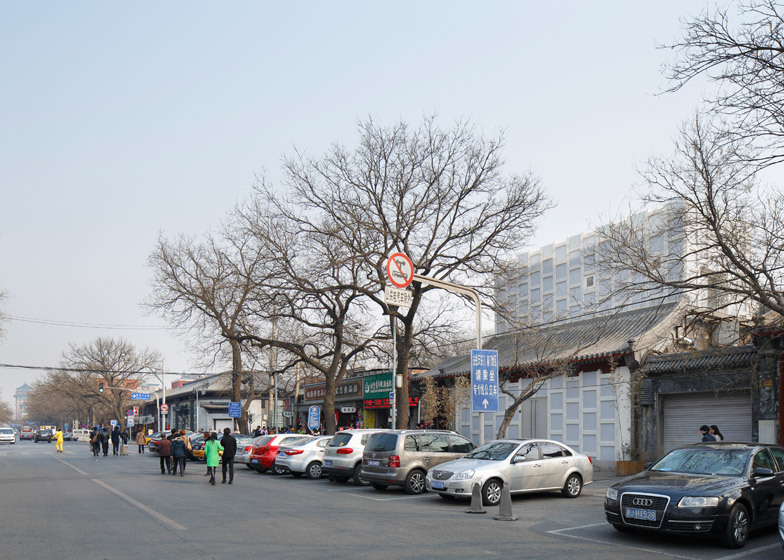 "The main structure for the city of Beijing is masonry bricks," explained Kengo Kuma and Associates. 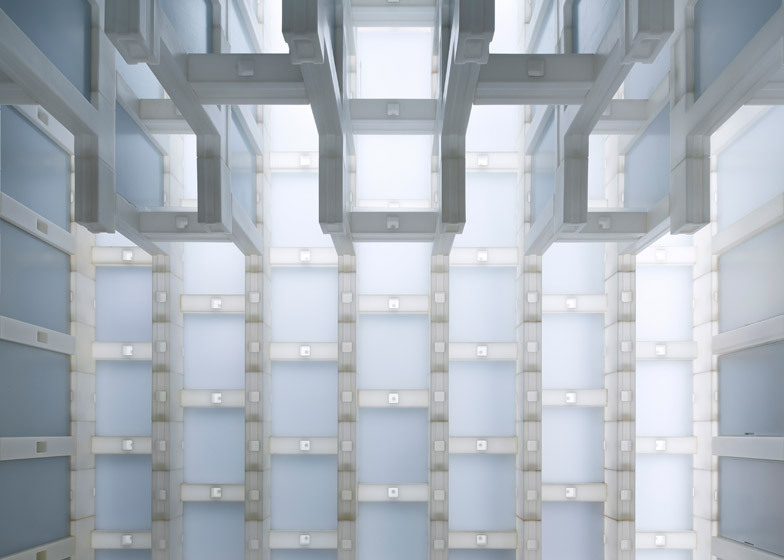 "Blocks made of polyethylene are in this sense a modern version of masonry." 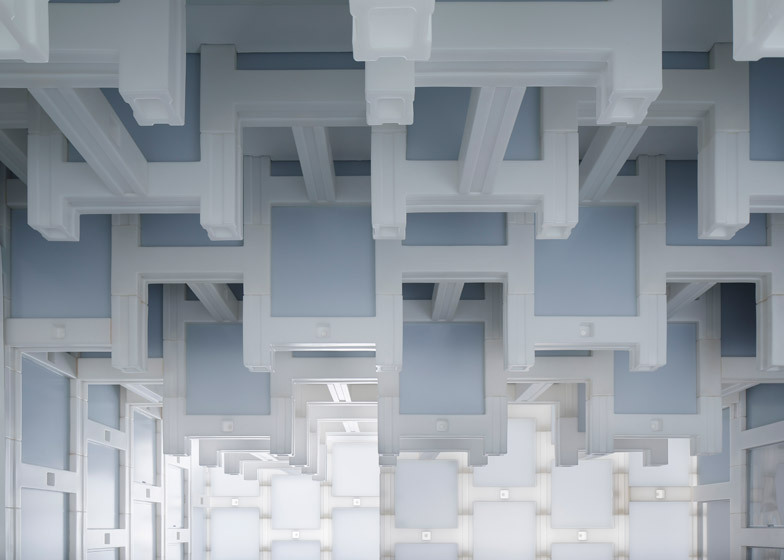 "It proves high performance in insulation and passes through light to create a gentle space of Zen, just as the paper used for Siheyuan [courtyard residences] did in the past," they added. "Four types of blocks were produced by rotational moulding to be joined and stuck up, as the structure of the extended part," explained the architects.